There are a few ways to answer this question. Do you have a boat? A lawnmower? Or anything that could possibly sit for more than a week or two at a time? If you answered yes to any of these questions, then you might want to consider reading on. Even if you said no, some things about ethanol fuel or E10, may surprise you. For instance – ethanol free fuel has no way of separating, therefore water cannot form in the tank of your vehicle, and so if it sits for a long period of time, it will not damage the engine. When you are running a boat, lawnmower, or anything with a two or four cycle engine and not something that is used on a daily basis, ethanol free fuel would be most beneficial for you. The longer it sits, the more water gets absorbed into the fuel tank from condensation, contaminated fuel from untrustworthy sources, or from something as simple as a leak in the fuel cap. 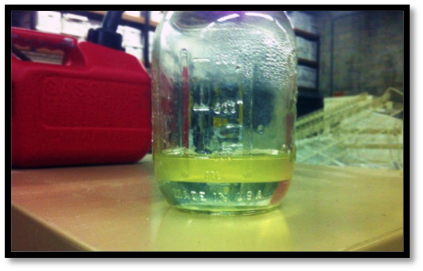 Ethanol fuel therefore becomes saturated and when this happens and an engine is started, it brings all that water into the engine which can cause major problems. Ethanol can eat into galvanizing coatings and lead to rusty steel lines, though newer hoses are designed to not be affected by ethanol. Some people even believe that on-road passenger cars that take gasoline should in fact take non-ethanol fuel. A reason for this is that oxygen sensors fail more quickly because of ethanol. Some studies have even shown that E10 – or ethanol enriched fuel by 10% – has actually lessened fuel economy. If your car shows that you will get 25 miles per gallon, you actually will be getting 22-24 miles per gallon instead. Depending on the fuel stations you get gasoline from as well can affect your gas mileage depending again on how long it has been sitting, how warm it is, and the time of day you get it. Ethanol free fuel removes all of these factors since there is no ethanol present, so it cannot be affected by the weather or how long it sits. Fuel additives can be a solution to this, but then you are adding additional cost to the lower priced fuel. There are some risks to this as well that need to be accounted for. For instance, if you put too much additive into your fuel tank it can do more damage than good. Some brands have a de-varnishing chemical in it that cleans your fuel at the same time. If too much of this is put in, the fuel needs to be disposed of immediately and drained from the fuel tank or as it states, it will de-varnish your tank and lines and cause leaks. 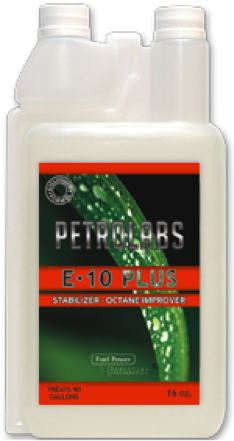 So if you are going to use an additive to the fuel, use a more eco-friendly brand such as E-10 which stabilizes ethanol blends, improves combustion of the gasohol blend, adds lubrication for top-cylinder areas and fuel injection systems along with providing extra injector deposit control. This product is available in a variety of sizes at Lynch Oil Company. 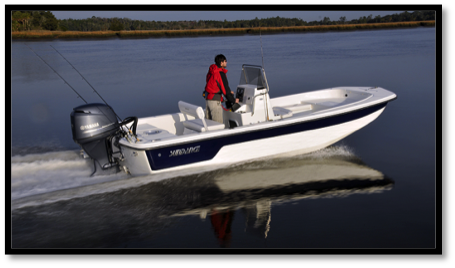 At the end of the day, it is easier, less head-ache and more convenient to use the non-ethanol fuel in applications for your boats and lawn equipment. Something that sits for a long period of time should be protected from weather and any chances of separating and absorbing water. It will in the long run, protect your engine, and protect your equipment from water damage. Lynch Oil provides the non-ethanol fuel that you need and can fuel your boat at our yard, on the water, or anywhere! Fueling anything, anytime, anywhere.